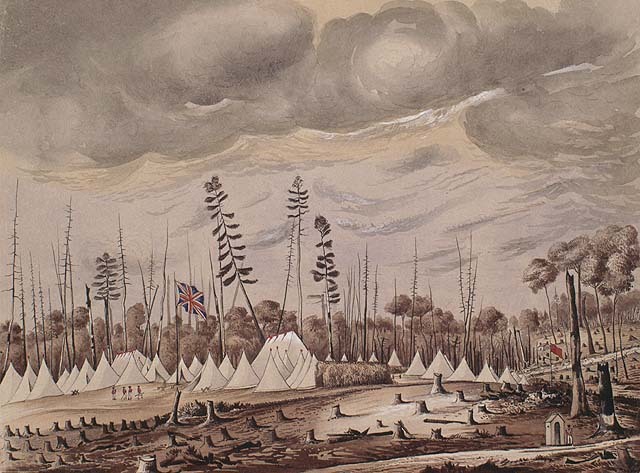 Encampment of the Royal Regiment at London, Canada West. 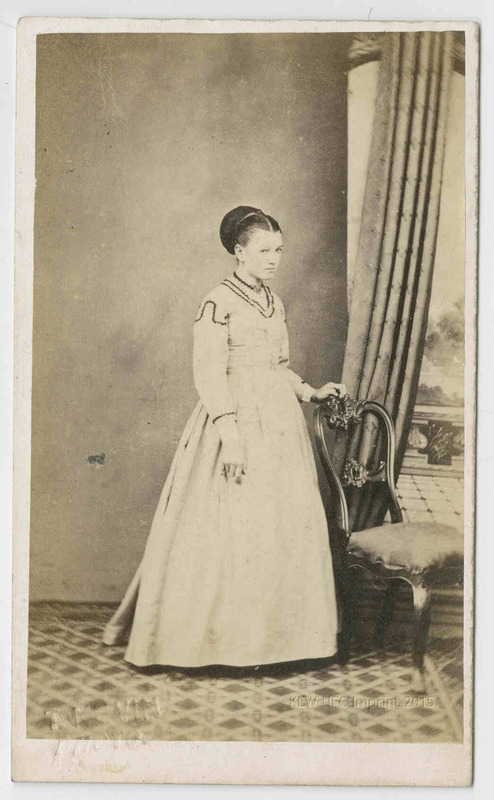 Here is another beautifully crafted poem by John Nevin snr (1808-1887), father of Tasmanian photographer Thomas J. Nevin, the earliest to date of his poetry written in Tasmania to surface in public collections and press publications. This poem was penned to lament the premature death of his dear friend James William Chisholm (1802-1863) with whom he served in the Royal Scots First or Royal Regiment in the West Indies and at the Canadian Rebellions from 1827 to discharge in 1841. The lament was published in the Weekly Times (Hobart Town, Tas. ), Saturday 29 August 1863, page 6. John Nevin’s full service with the Royal Scots First Regiment lasted 14 years and 237 days in the West Indies and Canada. 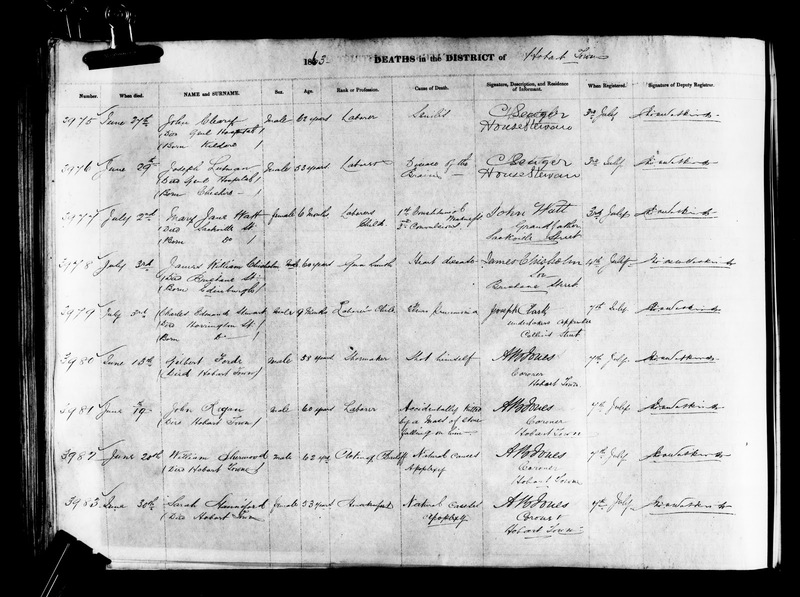 His record shows that at attestation in 1825 he was under age. His service abroad in the West Indies dated from 30th November 1827 to 30th January 1836, and in Canada from 16th June 1836. 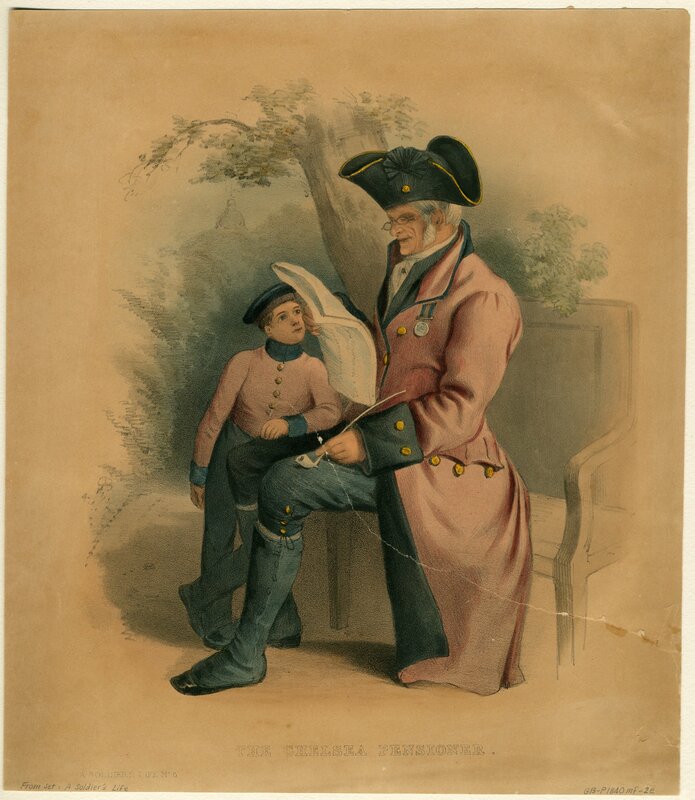 He was discharged at London, West Canada on 31 May 1841 on medical grounds (rheumatism, liver complaints, disease of the urinary organs), and returned to England eventually as a Chelsea pensioner. In his day he was a wielder of the pen as well as of the sword, and was some 50 years ago a contributor to the infant Press in London, Canada West, when the present city of that name was a struggling town of rough and rude buildings and log huts. 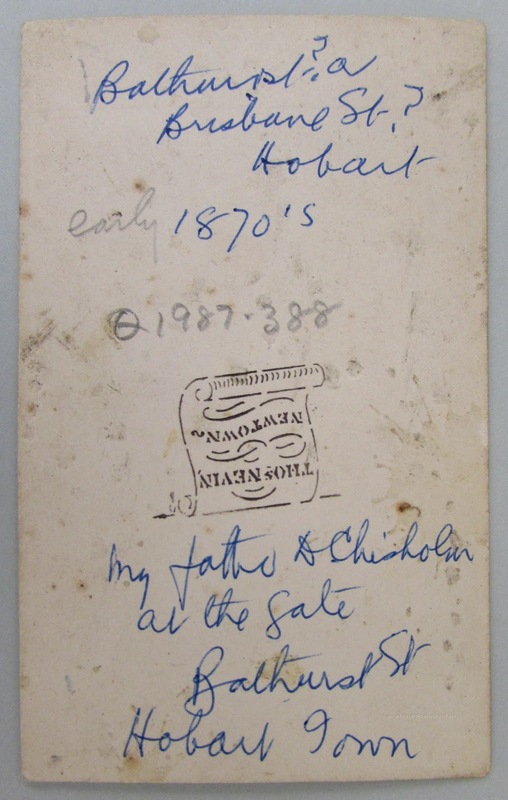 As a soldier of the Royal Scots he served under his colonel, Sir G.A. Wetherall, and the present Sir Daniel Lyons [sic i.e. Lysons] was his ensign; and he did his duty in very stirring times in the Canadian Rebellion of 1837-1838. 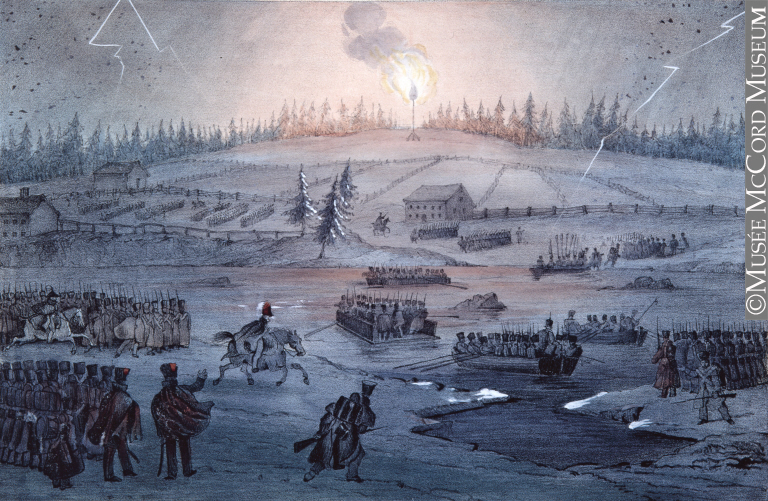 He was engaged in the storming and capture of St.Charles and St. Eustache and in engagements of St. Dennis, St. Benoit, and many other operations on the Richelieu River and adjacent country of Chambly, and at Terra-Bone [sic i.e. Terrebonne] he assisted in the capture of a large number of French prisoners during a severe winter campaign, often struggling with his comrades to the waist in snow in following his officers in the work of quelling the rebellion of Papineau. John Nevin’s proudest boast was that he had been a soldier of the Royals. Before leaving England once more to travel as a pensioner guard on board the convict transport the Fairlie in 1852, bound for Tasmania, Australia, John Nevin had become a husband and father of four children, and had spent a lonely and unprofitable time on the Californian gold fields, described in his poem “My Cottage in the Wilderness“(1868). 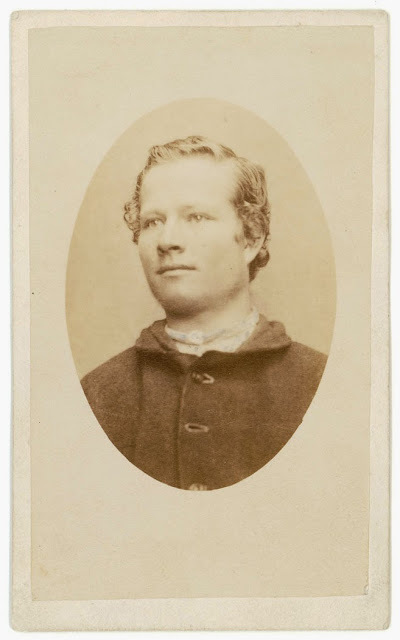 His earlier poem, written on the death of his daughter Rebecca Jane Nevin, was published in 1866, and his lament on the death of fellow Methodist William Genge was published in 1881. Four poems, including the present, have therefore surfaced, and no doubt he penned dozens more in a lifetime spanning eighty years. Copyright © KLW NFC Imprint 2005-2017ARR. To sultry Indies’ feverish soil. Beneath the lash no longer toil. *He served as Armorer in the Royal Regiment, with the Author, in the Canadian Rebellion of 1839, it was a very severe winter. Download the rest of this poem here. John Nevin published this poem in the Weekly Times, Hobart, Tasmania, on 29th August one month after James William Chisholm’s death in July 1863. 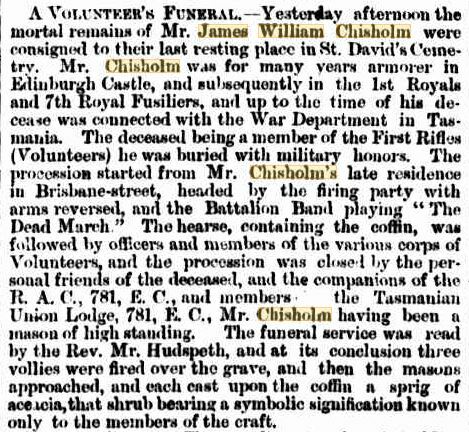 WRITTEN on the much-lamented death of the late JAMES WILLIAM CHISHOLM, of Hobart Town, a native of Edinburgh, aged 61 years. Has found a place of lasting rest. In yonder Church-yard’s cheerless gloom. In memory of the sacred dead. So wisely as our friend hath done. 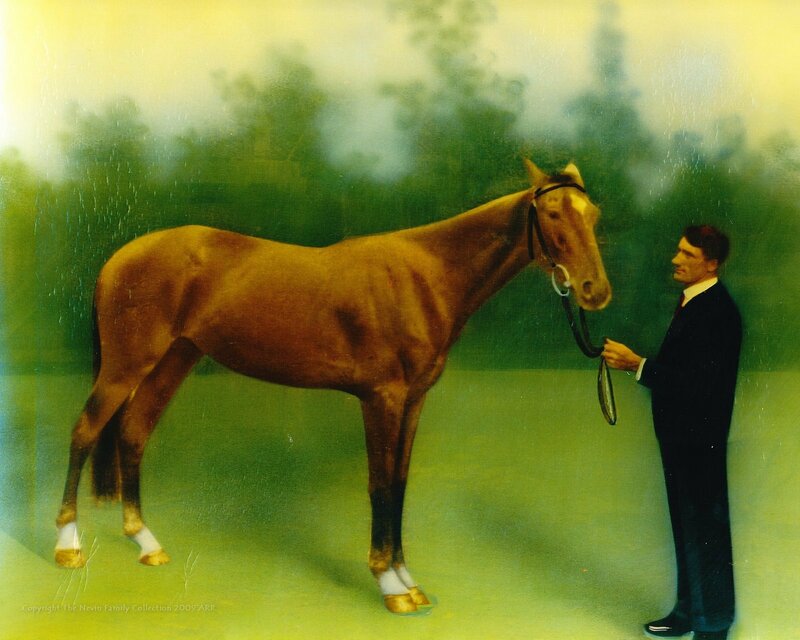 Until his earthly race was run. Still nobly for your cause he stood. 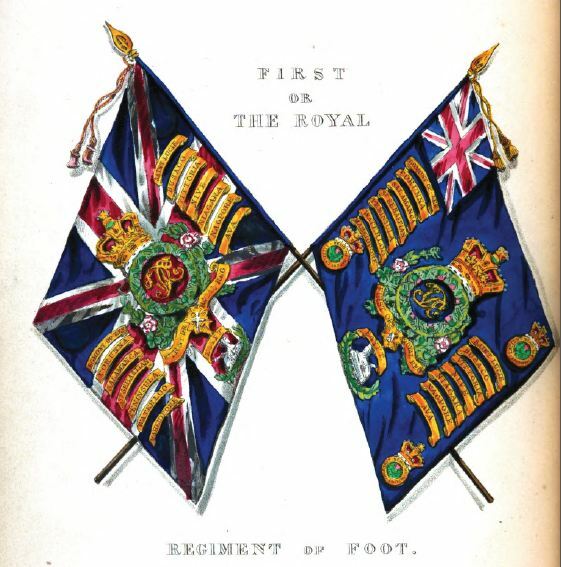 But when he join’d the Royal Corps. To that dear land he bade farewell. When none but strangers round his bed. Strength from on high to be resigned. ‘Twas there his little Janet died. And birds of gayest plumage found. Once more the dreary voyage makes. To hear again the tinkling bells. To rest in his declining years. Now witness of his widow’s tears. We trust with God and all mankind. the funeral procession included Mason companions of the R.A.C., 781, E.C. 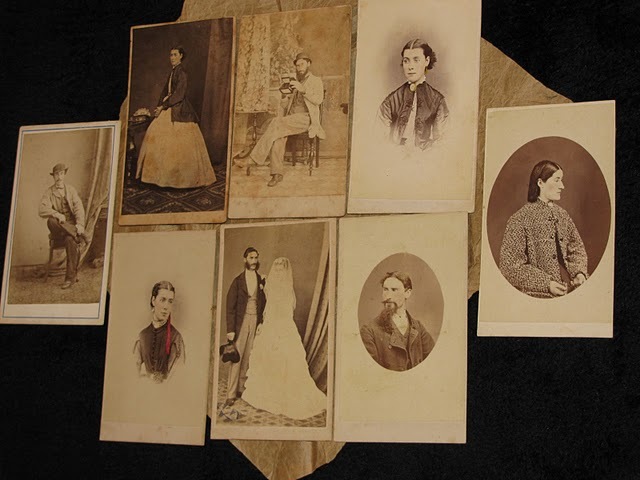 VOLUNTEER’S FUNERAL – Yesterday afternoon the mortal remains of Mr. James William Chisholm were consigned to their last resting place in St. David’s Cemetery. 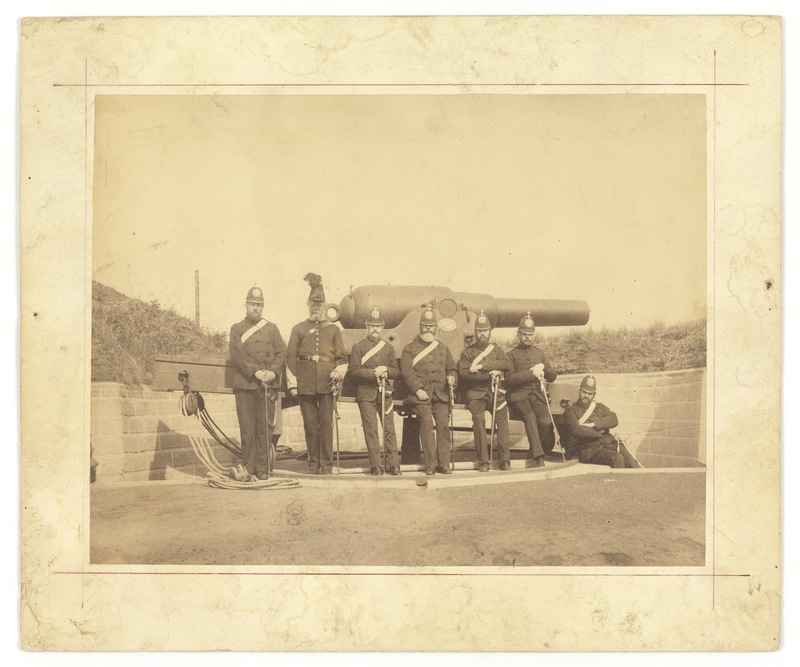 Mr. Chisholm was for many years armorer in Edinburgh Castle, and subsequently in the 1st Royals and the 7th Royal Fusiliers, and up to the time of his decease was connected with the War Department in Tasmania. The deceased being a member of the First Rifles (Volunteers) he was buried with military honors. The procession started from Mr. Chisholm’s late residence in Brisbane-street, headed by the firing party with arms reversed, and the Battalion Band playing “The Dead March”. The hearse, containing the coffin, was followed by officers and members of the various corps of Volunteers, and the procession was closed by the personal friends of the deceased, and the companions of the R.A.C., 781, E.C., Mr. Chisholm having been a mason of high standing. The funeral service was read by the Rev. Mr. Hudspeth, and at at its conclusion three vollies were fired over the grave, and then the masons approached, and each cast upon the coffin a sprig of acacia, that shrub bearing a symbolic signification known only to members of the craft. 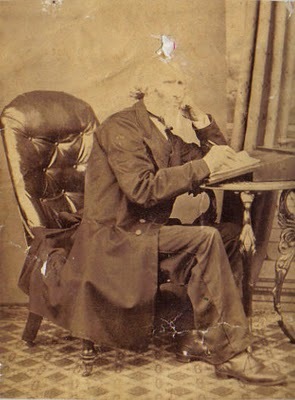 CHISHOLM—On the 3rd July, at his late residence 70, Brisbane-street, Hobart Town, James William Chisholm, aged 61, a native of Edinburgh. Deceased was for many years armorer in Edinburgh Castle, and subsequently in the 1st Royals and 7th Royal Fusileers, and up to his decease was attached to the War Department in Tasmania. Thomas Nevin photographed the Chisholm house at 70 Brisbane Street, Hobart ca. 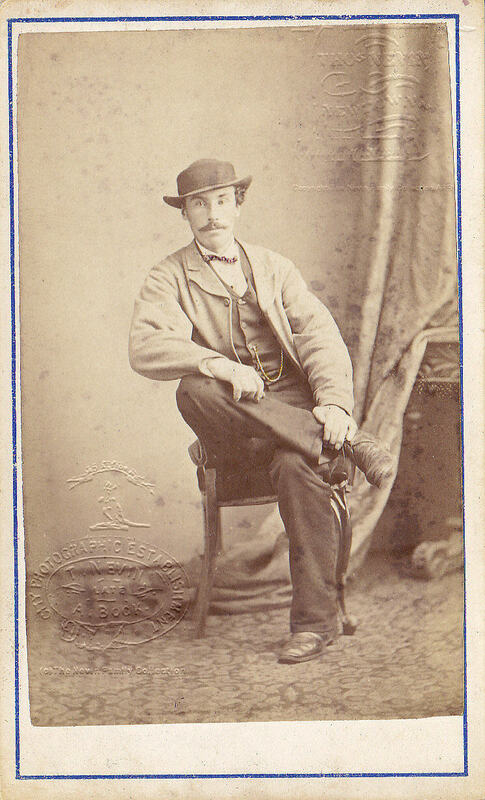 1870 with Duncan Chisholm, one of James William Chisholm’s three sons, posing at the front gate. 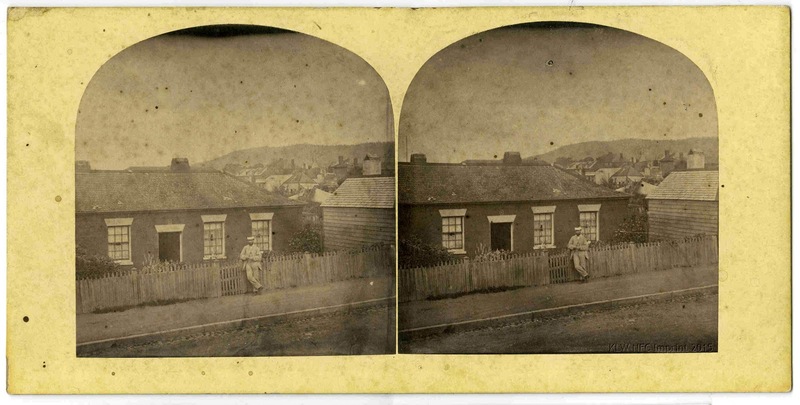 Stereograph of the same man, i.e. 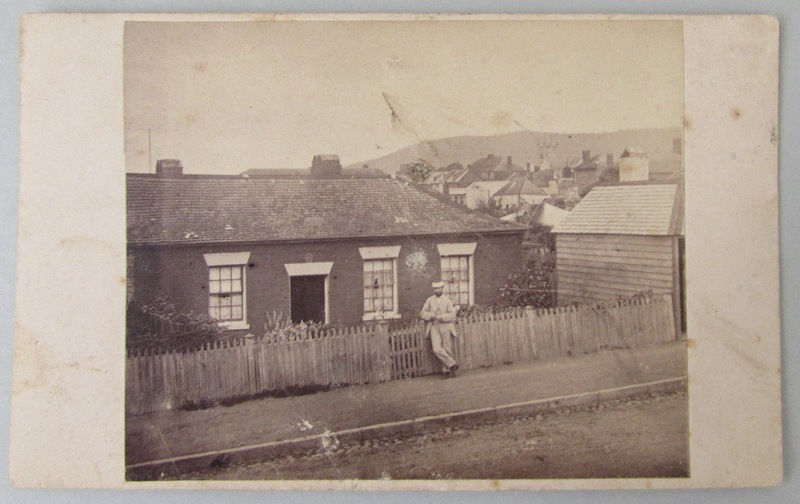 Duncan Chisholm in a pale suit and hat leaning on a fence outside the single-story house, identified as 70 Brisbane St. Hobart on verso of cdv above. TMAG Ref: Q1994.56.17 [scans recto and verso 2015]. 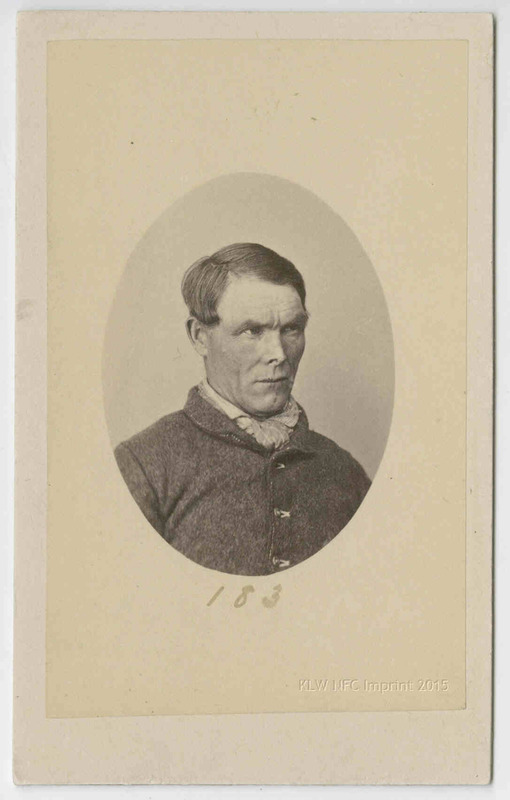 James William Chisholm died of heart disease on 3rd July 1863, according to the Deaths in the District of Hobart Town registry. 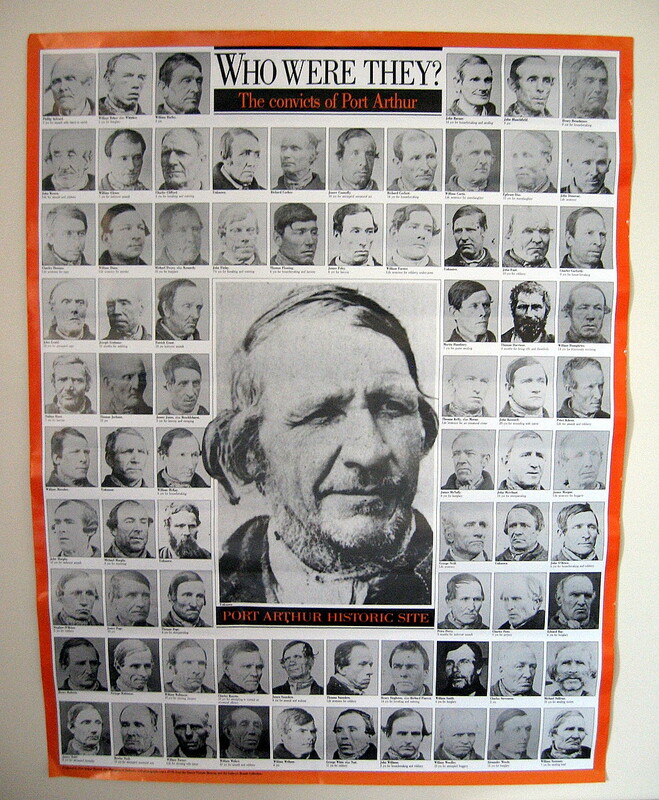 The Canadian Rebellion Prints are held at the McCord Museum: view more here.